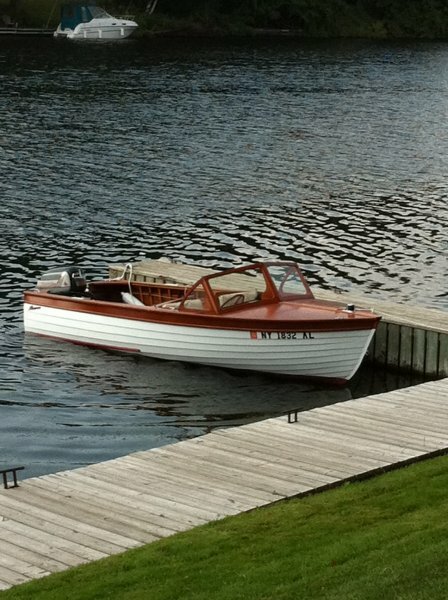 LEGACY is a 1956 Thompson Sea Coaster that Bob Cristina of Myrtle Beach, South Carolina recently gave to his son Ed Cristina of Ashton, Ontario. 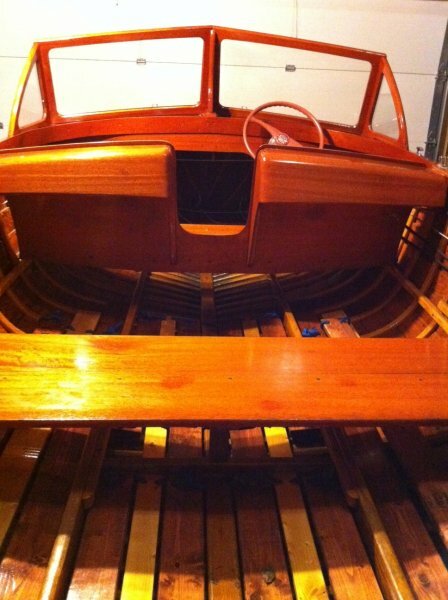 Ed did a few repairs and gave LEGACY a whole new finish before re-launching her in August 2011. 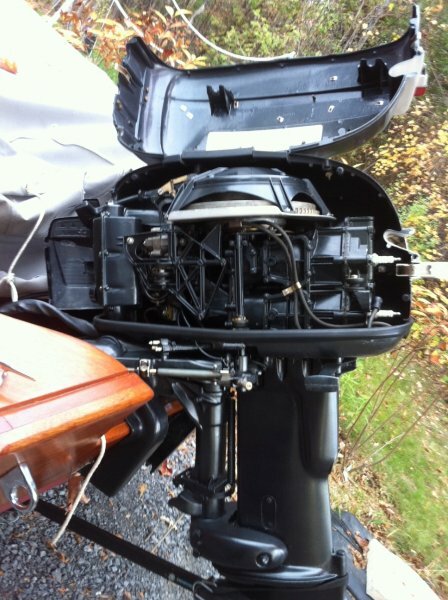 The 15′2″ runabout is powered by a 30-hp, 1956 Evinrude Lauk Outboard. 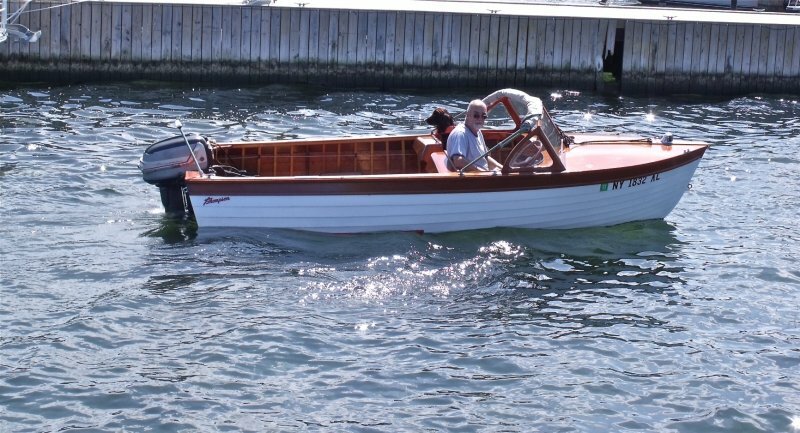 LEGACY won Best of Show and Best Outboard Motor at the ACBS Vintage Boat Show in Alexandria Bay, New York. 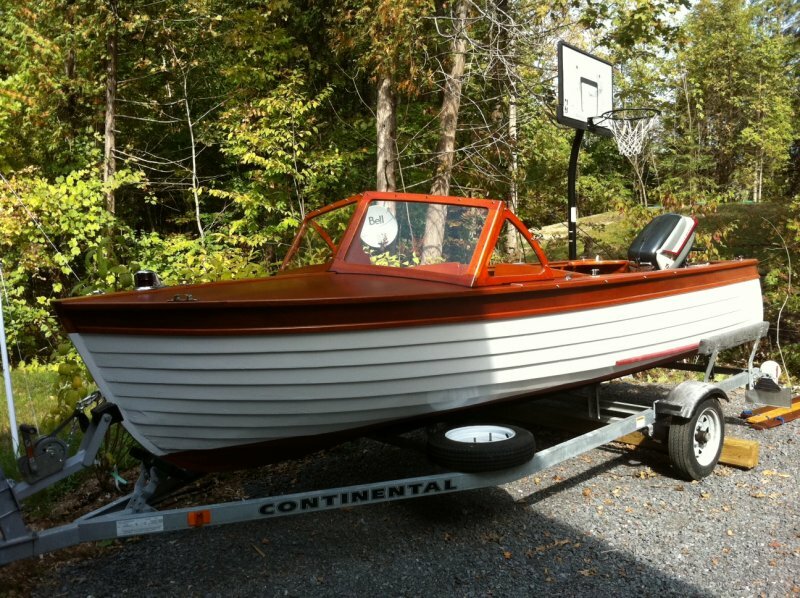 Eventually, Ed plans to pass his LEGACY along to his own son, Hayden.